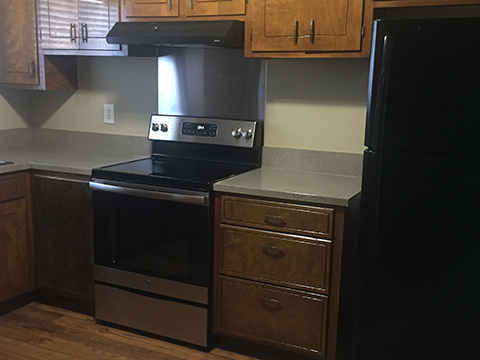 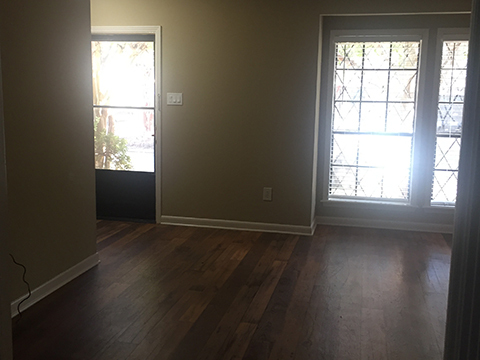 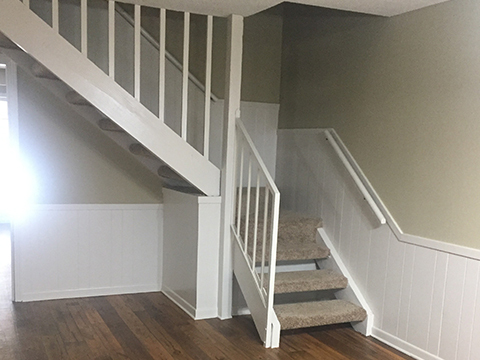 A bi-level townhome that has a half bath and all living areas downstairs, while the upstairs has the three bedrooms and two full baths. 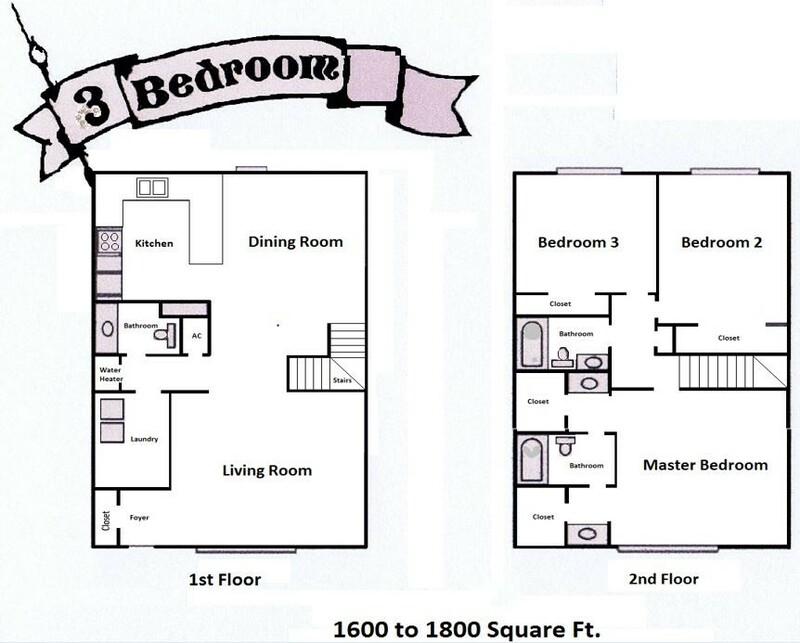 A few unique features of this floor plan include a larger kitchen with a bar and plenty of cabinet space, a master bath with two separate vanities and closets, a large laundry room, a private, fenced-in patio, and an outside storage room. 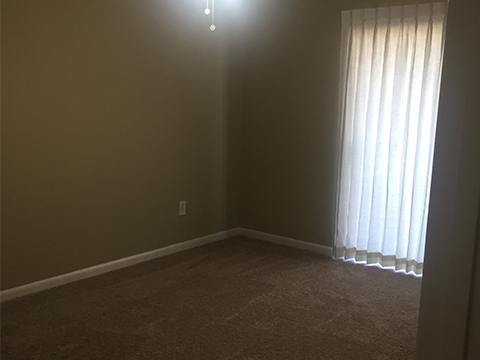 This unit also includes two reserved parking spaces and a private mailbox located at your front door.